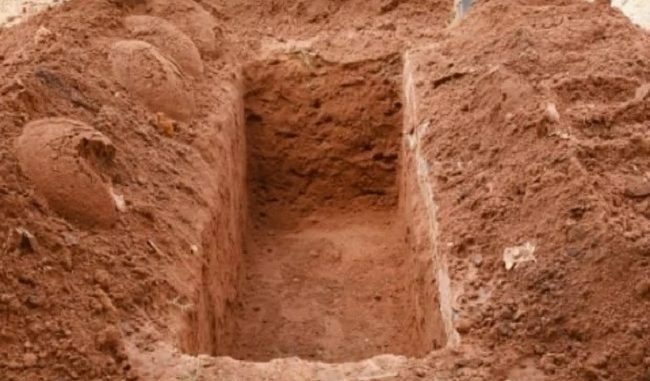 A 35-year-old Migori county man was yet to come to his senses after he returned home to find his family finalising plans for his burial. Nicholus Okelo Nyamwanga returned home on Tuesday, January 16, after missing from home for about two months. His family, his wife, relatives and friends all fled from the funeral meeting following his unexpected arrival. According to a report by Edaily on Wednesday, January 17, Nyamwanga’s family was told that their son’s body was retrieved from River Migori and taken to Migori Level Five hospital mortuary. The family, one that had given up hopes of finding their son alive, trooped to the mortuary where they found a badly decomposed body. Nicholus’ father, Francis, rushed from their home in Marindi village in Suna West, to the mortuary on several occasions thereafter to attempt to identify his son but every time he couldn’t because of the nature of the body. “I was convinced by the mortuary attendant into believing that the body was my son’s. We planned on picking it up a day before his burial on Thursday, January 18. My son was extremely shocked to find us organising his burial yet he was alive. They started returning back to the house, happy and reunited with my son,” said Mzee Nyamwanga.